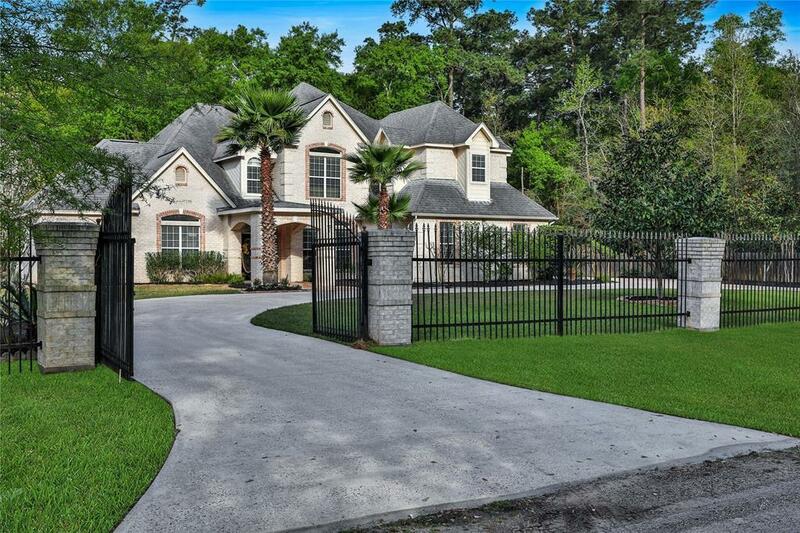 This stunning estate home is situated on just shy of 3/4 acres in the heart of The Woodlands with low taxes, low utilities and NO HOA FEES! 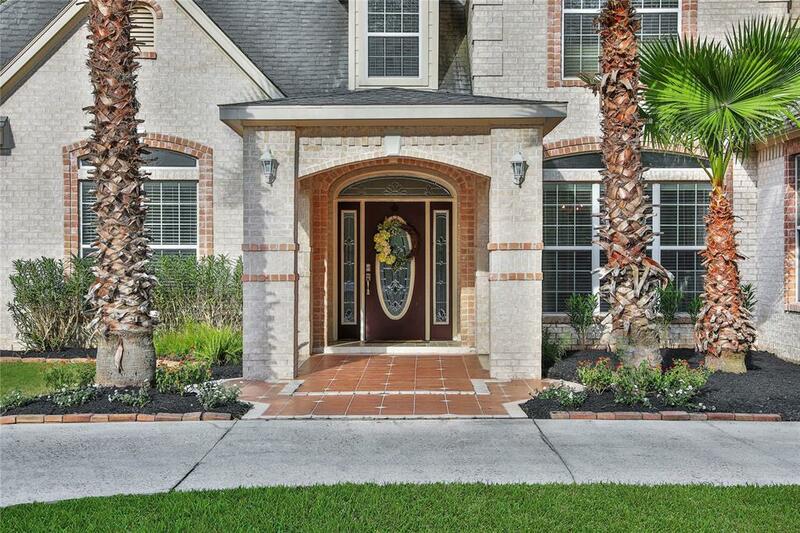 Private, gated entrance leads to a circular driveway, extended parking and detached garage. 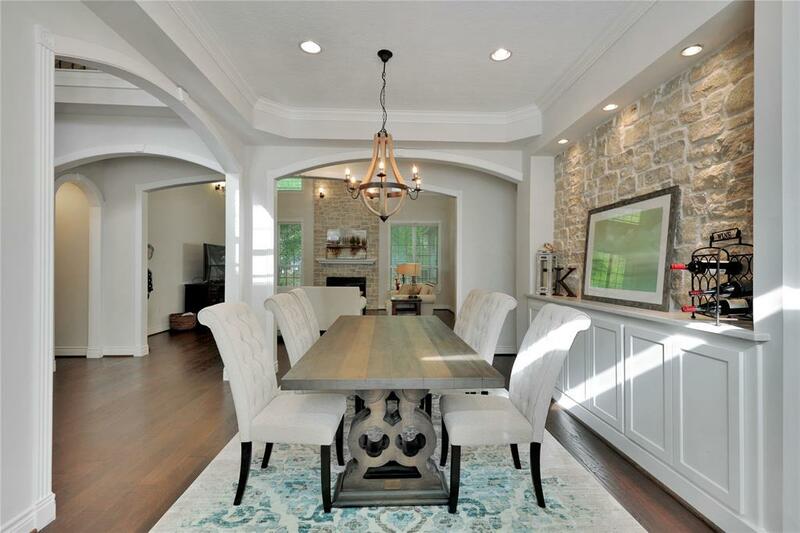 As you step into this renovated home, take note of the open floorplan complete with formal dining, living, and spacious family room. The kitchen boasts an oversize island with extra seating, built-in stainless steel appliances and electric cooktop. Master retreat with large windows overlook the backyard. An en-suite master bath with His and Her sinks, jetted tub and separate walk-in shower. Take the stairs to the second floor gameroom and secondary bedrooms. Covered extended patio with a wooded and peaceful backyard. 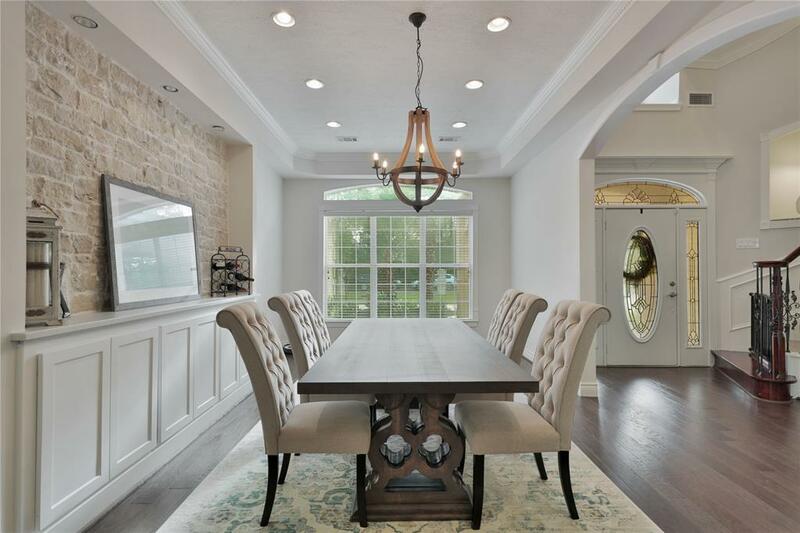 Great location close to The Woodlands amenities, I-45, shopping, dining & entertaining, yet private, country-like setting. Walking distance to Park and Ride, Playground and Gosling Sports Park.